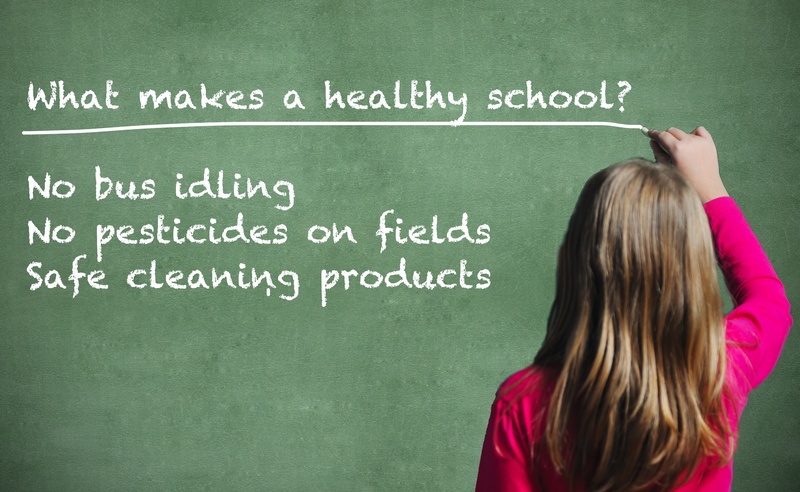 Port Washington, New York, September 3, 2015	(Newswire.com) - Grassroots Environmental Education, a science-based environmental health non-profit organization based in New York, has issued a simple three-point checklist for parents of school-age children to help them determine if their child’s school environment is as healthy as it can be. • Does the school prohibit the idling of school buses and other vehicles on school property? • Does the school prohibit the use of chemical pesticides on school playing fields and green spaces? • Does the school use only bio-based cleaning products that meet strict criteria specifically established to protect children’s health? According to researchers, rates of asthma, cancer,, certain birth defects, learning disabilities and obesity are all on the rise among America’s school children. Moreover, a growing body of evidence links these increases to exposure to environmental chemicals, including diesel exhaust, pesticides and chemicals commonly found in petroleum-based institutional cleaning products. In response, Grassroots has created an awareness and advocacy program focused on these three exposures. The ChildSafe School Program (www.thechildsafeschool.org) provides a policy-based framework for addressing these issues, and includes films, Q&A sheets, sample policies and checklists to help parents and other advocates bring about change in their local schools. 1. Asthma incidence and mortality have more than doubled [Centers for Disease Control and Prevention (CDC) 1995a, 1995b]. 3. Birth defects of the male reproductive system, such as hypospadias, doubled in frequency from 1970 to 1993 (Paulozzi et al. 1997). 4. Neurodevelopmental disorders—including learning disabilities, dyslexia, mental retardation, attention deficit disorder, and autism—are highly prevalent and affect 5–10% of the 4 million babies born in the United States each year (Bertrand et al. 2001; CDC 2004a, 2004b; LeFever et al. 1999; Safer et al. 1996; Zito et al. 2000).